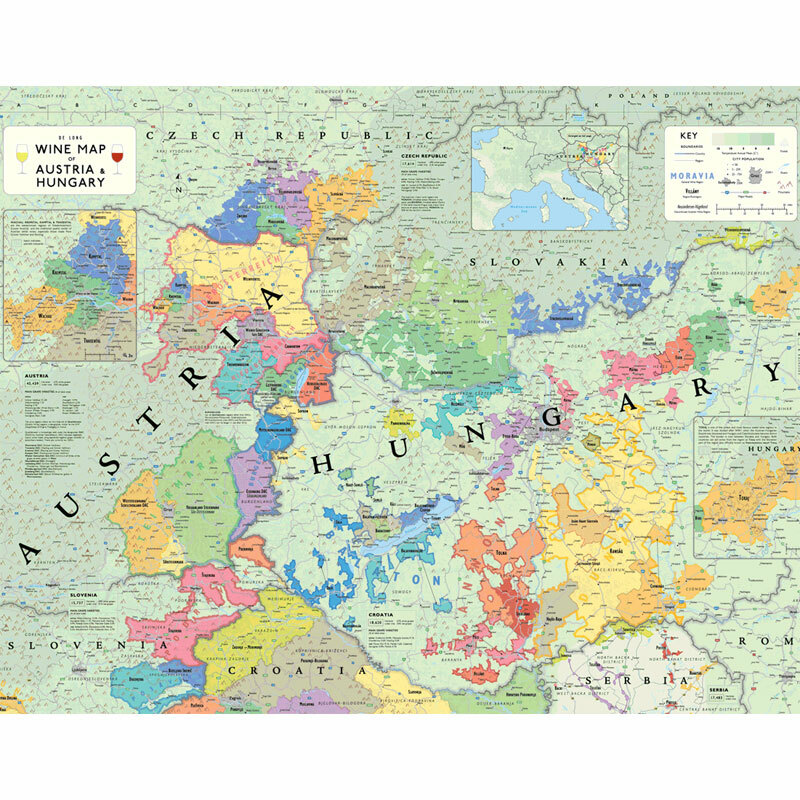 Up to Date - the only up to date wine map of Austria and Hungary currently available. In Context - comparative latitudes of other world wine regions. The map shows all of Austria and Hungary's official wine regions as well as adjacent regions in Czech Republic, Slovakia, Romania, Serbia, Croatia and Slovenia. 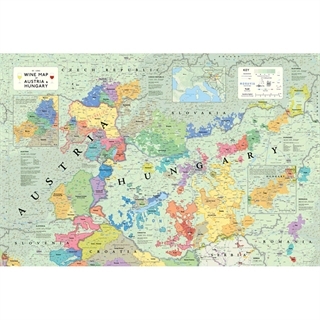 Detailed maps of Wachau, Kremsal and Kamptal and Tokaj are included. Includes statistics regarding acreage and major grape varieties of each state.